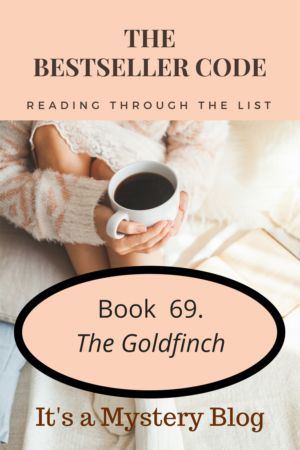 Time to start the discussion of our next novel from The Bestseller Code 100 list, The Goldfinch by Donna Tartt. The blurb: Thirteen-year-old Theo Decker survives the accident that kills his mother. Because his father left him, the family of a friend takes Theo in. Struggling with his grief and the changes that have occurred, the teenager clings to a small painting that reminds him of his mother. But there’s more to the painting than anyone suspects. Have you written about The Goldfinch by Donna Tartt? Feel free to add a link to your review in the comments.